My eyebrows are on fleek and so my sleeves are on flounce. 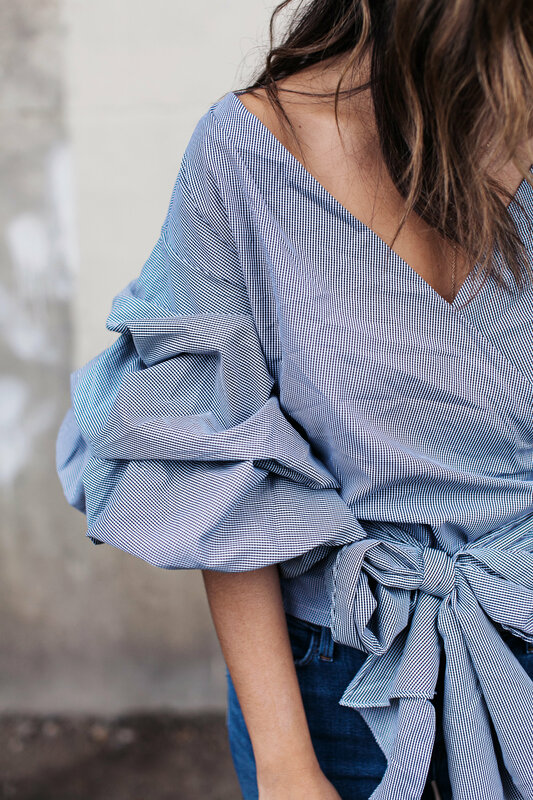 Though it’s not something you see frequently, flounce sleeves add a bit of whimsy to your wardrobe (and camouflage the arms on days where you just don’t want to show them off). 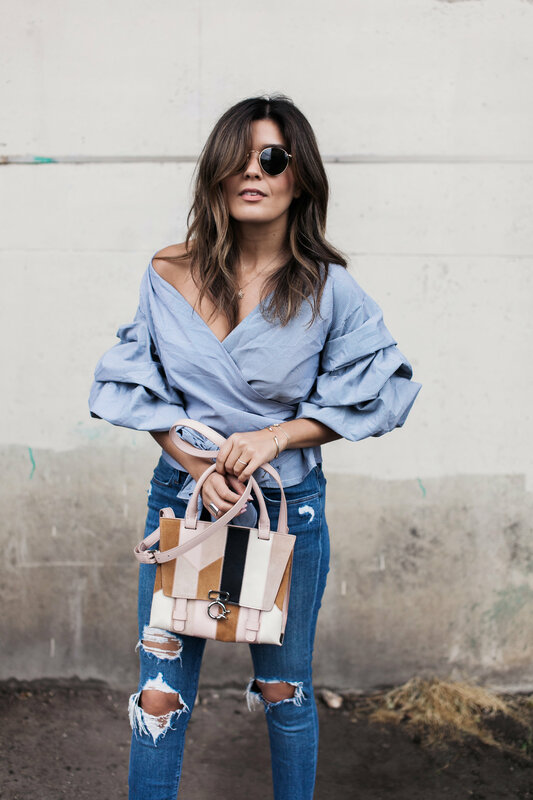 I love this top from Storets paired with cropped distressed denim and a pink patchwork bag. A easy breezy look that can easily be transitioned from day to night with a change of a heel. Hope you all are having a wonderful holiday weekend. Also, make sure to sign up for my newsletter here to get weekly round-up recaps and a Memorial Day sale round up this week! Ever scroll through my Instagram feed and see something I’m wearing that you want? When you ‘LIKE’ my ltk-enabled instagrams, you’ll receive an email right away with links to pieces I’m wearing. Just sign up once at LIKEtoKNOW.it to directly shop my instagram feed. So in love with this look! Storets seriously does the most amazing sleeves!! Love the shoes and the bag together !